The Most Beautiful Cinema I’ve Ever Laid Eyes On. | In Florence. A Firenze. 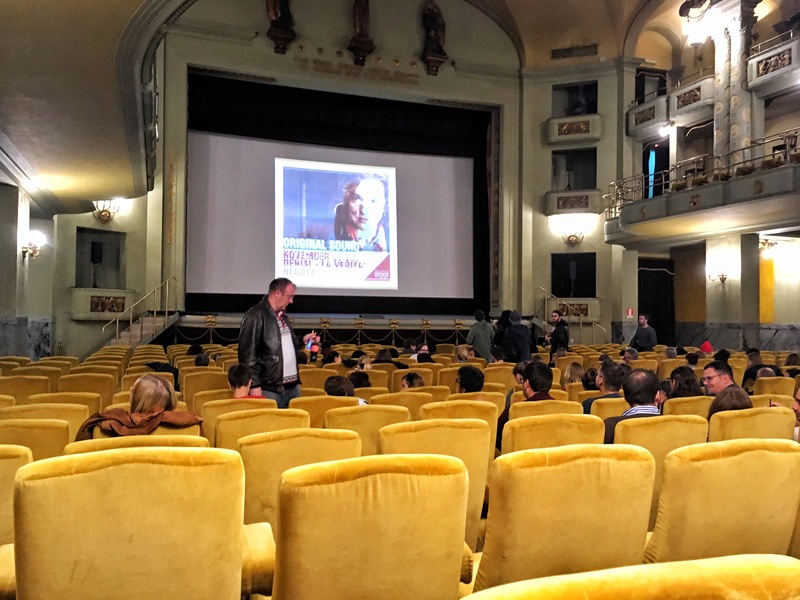 One autumnal evening, a few weeks ago, I headed to the Odeon Cinema in Florence with a few of my friends. We were going to watch the new Dan Brown film, ‘Inferno,’ which is set almost entirely in Florence. That’s all I’m going to mention about the film itself, because I’m being kind if I say, it wasn’t the best thing I’ve ever seen. The cinema on the other hand is really something special. It’s filled with plush gold seats, with enough space for your legs, that you don’t have to put up with cramp for half the movie. Huge lights hand down, creating a cosy atmosphere, and above the ground floor seating is a balcony level. The whole thing has an art-deco feel. Most impressive of all is the ceiling. When you cast your eyes upwards, they fall upon a beautiful stained-glass dome, which casts a golden light over the room. It is a magical setting to see any film. A little plus for students at The British Institute of Florence, is that they can get tickets for €6 instead of €8, except on Saturdays and Sundays. ‘Inferno’ may have been a disaster, but I went back to see the newly released ‘Fantastic Beasts and Where to Find Them.’ This was brilliant, although my opinion was probably heightened by the fabulous cinema I saw it in.